Hargrave was born in London, and educated at Lincoln's Inn. He came to prominence because of his brilliant performance in the Somerset case. Thereafter, he specialised in legal history and commentary and did not take part in the abolition campaign. He published many works of legal history and amassed a substantial collection of legal books and manuscripts. He fell ill, probably with Alzheimer's Disease, in 1813 and his collection was purchased by the government for £8000 and deposited in the British Library. He died in 1821, and was buried in the chapel of Lincoln's Inn. 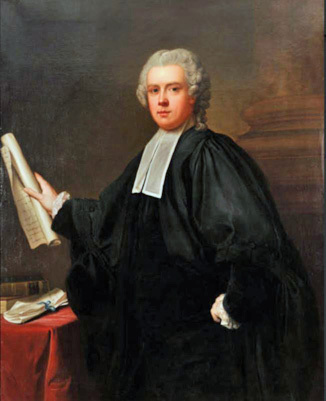 The portrait of Hargrave, by an unknown artist, is courtesy of the Elton M. Hyder, Jr. Collection, Accession O0025, The University of Texas at Austin, School of Law, Jamail Center for Legal Research. Kitson, Peter, et al, eds, Slavery, Abolition and Emancipation: Writings in the British Romantic Period (London: Pickering and Chatto, 1999), 8 vols. The portrait of Hargrave in the Elton M. Hyder, Jr. Collection.